Back by popular demand… it’s Collector’s Corner! In this weeks Collector’s Corner we will be chatting with the lovely Debby and her adorable pup! Follow Debby’s Instagram pandorahuntingwithscubadude for more wonderful PANDORA inspiration. Thank you for visiting us this evening Debby. First, can you tell us how long you’ve been collecting PANDORA? Well I really started about 4 years ago right after Christmas. I was at my daughters on Christmas morning and she was unwrapping a present from her best friend Kristin and it was a PANDORA bracelet. I had a fast glance at it and loved it! Loved the whole meaning of gifting someone who means the world to you, a piece of jewellery which can grow with every occasion. That same Christmas my granddaughter also received a PANDORA bracelet along with the ‘Sweet Niece’ charm from her aunt. Well that sealed it! I was very moved at something sentimental that you could save forever and that grew with you through your ups and downs, knowing your loved ones were behind you and with you every minute of the day if you needed them. Two days later I found a add in the locale Kijiji for 3 PANDORA charms for 60 dollars. They were; the Santa’s Sleigh with a small garnet on the side, the Royal Baby Carriage released for little Prince George and the Ballet Shoes charm with a pink stone on it. I bought them on the spot and I didn’t even have a bracelet! After that I set a alarm on my phone to alert me when any charm popped up on any local online site. This is my first Pandora bracelet which represents all my princesses in my life! 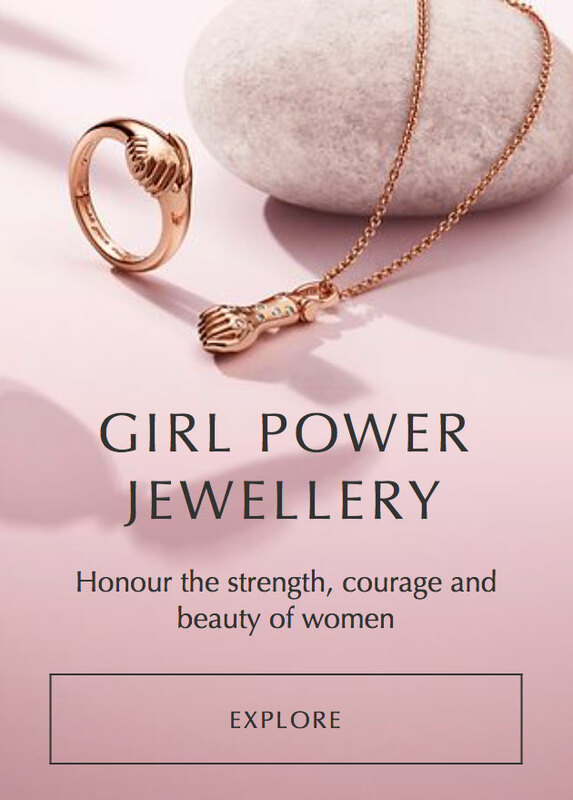 My Daughters and Granddaughters and all the girls in our family that have the Party Girl dress charm!!!#pandora#pandorahunttingwithscubadude#lovemygirlies!! Wow! That is an incredible story and start to collecting PANDORA. I also bought a few PANDORA Essence beads before I had an Essence Bracelet! So Debby, can you tell us a little about your collection? Here we go… 15 x Bangles, 5 x Leather Bracelets, 3 x 5 Clip Station Bracelets, 1 x 1 Clip Station Bracelet, 21 x Moments Snake Chain Bracelets, 1 x Moments Bracelet with 14k Gold Clasp, 2 x Moments Bracelets with PANDORA Rose Clasps, 1 x Moments Bracelet with Signature Clasp, 2 x Bracelets with Lobster/Claw Clasp, 1 x Smooth Moments Bracelet, 1 x Lock Your Promises Bracelet and 5 x Moments Bracelets. I have 462 PANDORA charms which include 11 PANDORA Essence charms. Plus 7 necklaces (3 are lockets and 2 are leather chokers) and 2 pairs of earrings. OK now rings include: 36 rings and 3 gold rings which were thrifted for 20, 20 and 40 dollars! I also have a double wrap brown watch, 2 brown jewellery boxes, a China Cupcake trinket box, a china bow box, 2 silver leather travel cases and 2 round leather bracelet boxes. I have also given 15 bracelets away as preloved gifts with about 40 charms total. One bracelet to each female member in my family. Oh my gosh I may just be ill! I have never written it all down! Wow! Don’t worry honey, you’re secrets are safe here and we are all fellow PANDORA addicts! Do you have any rare, or hard to find pieces in your PANDORA collection? I do have a few rare pieces. 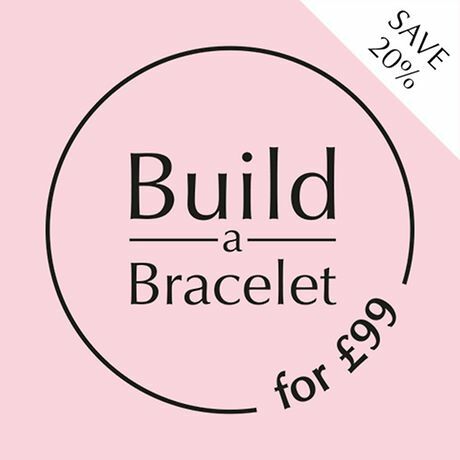 I was lucky enough to see a advert for a Pink Ribbon charm along with the Pink Leather Bracelet. My husband and I went on a summer night drive after he came home from work, so it was super dark out. We found the house way out in the county and it was very dark when we pulled up. I went up to the door and the lady was waiting took my 40 dollars gave me the Charm and the Bracelet and then closed the door pretty quickly! It was probably very late as it was farther away then I had thought. I believe she said she won it as a prize in a horse show, which makes sense she lived at the top of Vaughn horse county. OK, so it was dark and I truly didn’t think anything of it. The charm felt great so I knew it was not a fake and I put it on my wrist for the drive home. When we got to the bright lights of Toronto I noticed it was gold with red stones! I was stunned! That I believe might be one of my rare charms. I also have loads of original old PANDORA charms as well as the two special charms for William and Kate. Plus, the Strawberry and Yarn Ball charms. Also I have a 14k Gold Spacer with blue stones which I have never seen on anyone or in any photo. To tell you the truth I probably own some that I don’t even know are rare as I learn more and more everyday about the PANDORA I have. That is amazing! I wanna join you and Scubadude on your PANDORA hunts! As an expert PANDORA hunter, what do you have on your wish list? That’s not the way I think about charms. If I look at the PANDORA catalog that way then I would spend all my money on that one charm I am just dying to have! I know that. But if I see a charm on someone’s wrist and think, “Yes, if I find that charm I will put it here or there” or “That would be perfect for this person or for that occasion”. Or “If I give so and so this charm they will understand that I think dearly of them and that this charm means I see this quality in them. I guess that’s the best way to explain my wishes for my future charm hunting. But if I had money to pay real prices for charms that’s different! 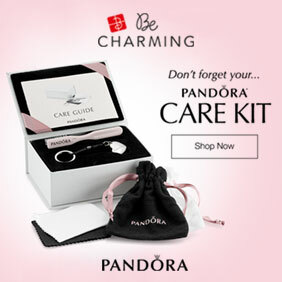 I would say the PANDORA Club charms are at the top of my list. I would love the new treasure chest! Pandora Gold and two toned. That makes sense. These days my PANDORA wish list is pretty much in my head. 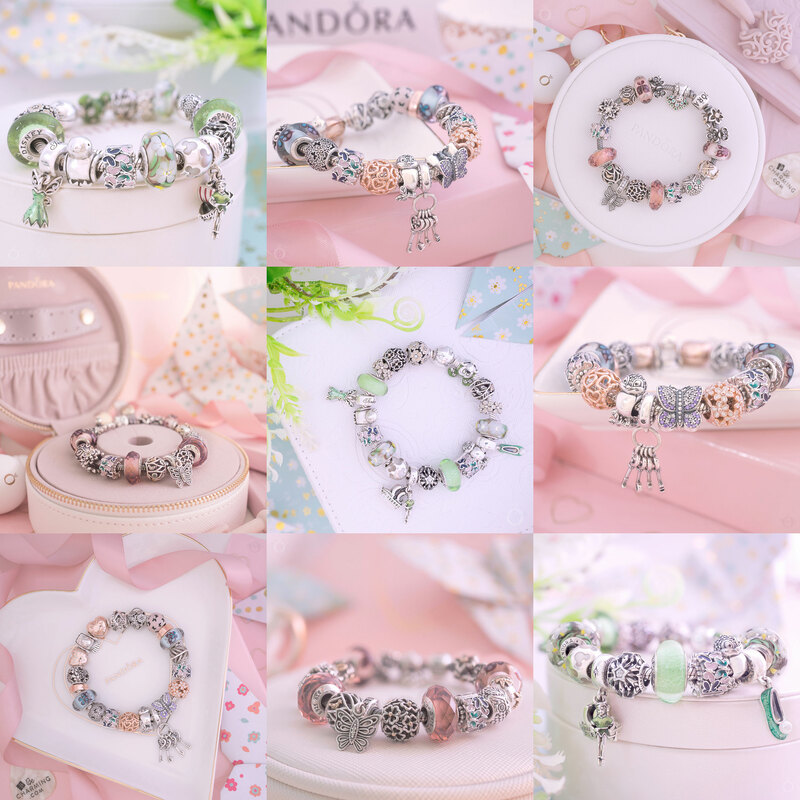 What would you say are your favourite PANDORA pieces? Fabulous choices! 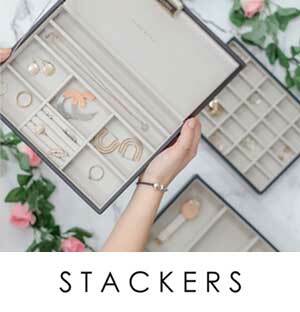 As a collector with a lot of older pieces, how do you feel about the direction PANDORA is taking based on their recent collections? I am not in a hurry to get much of the new line. Like with the Reflexions range, I worry about the flexibility of it and the possibility of the clips popping off. But if I did purchase a Reflexions Bracelet, it would be because of the Floating Locket Clip! I love all of the PANDORA Lockets and I am very lucky to have 5 of them. I do like the Cupid & You Pendant, and I would love to have him. So PANDORA gets a two thumbs up from me for that design. The 2019 PANDORA Club charm also receives 2 thumbs up. But the rest of the Valentine’s Day collection… I am thinking, “Like what…???? are they trying to portray?”. Some of the charms come across as if they were designed for 7-8 year olds! Sorry, but I enjoy the artistic old charms. No bling, no spinners, just sculptured beautiful charms. Don’t appologise for your opinion. Most PANDORA fans agree with you that the old classic PANDORA is best. Looking through you’re collection, I can see that you are a Disney fan. What PANDORA Disney characters would you like to see PANDORA produce in the future? I love them all I guess! 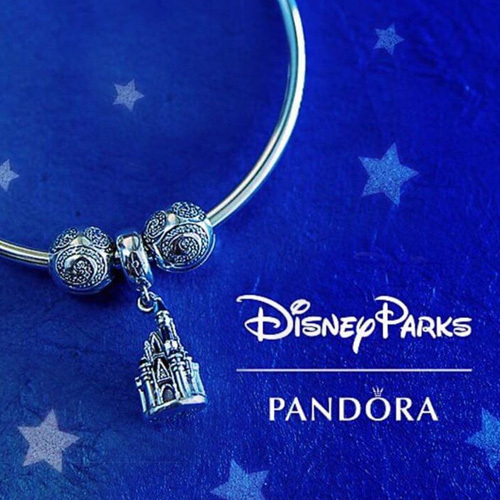 With these tense times in the world, PANDORA Disney charms brings out the carefree thoughts we had when we were kids. When I am sad I wear my Mickey and Minnie bracelet. Debby, it has been pure delight to chat with you this evening and the time has just flown by! 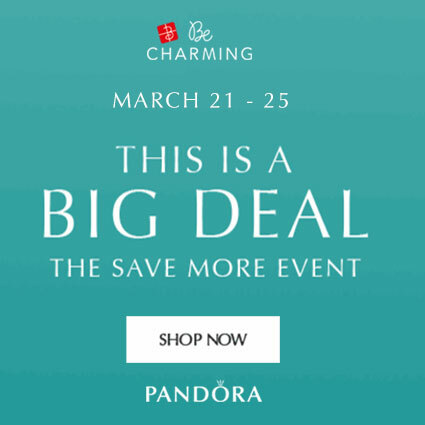 I hope PANDORA are reading as I also would love it if there were to produce so Star Wars charms (for my husband) and a little Toad and Yoshi for me! 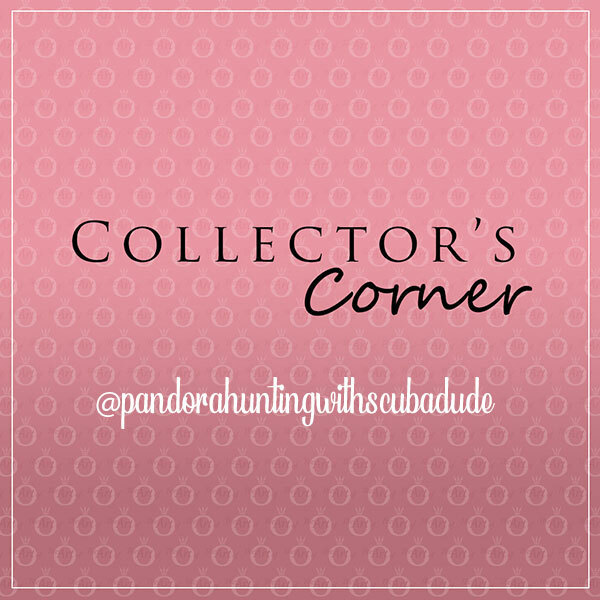 Readers, be sure to follow Debby’s Instagram account @pandorahuntingwithscubadude and keep up to date with her PANDORA hunts! Thank you so much for this interview. I had a fabulous time and I hope to inspire anyone that loves Pandora as much as I do and all my new friends on Instagram. That anyone cane afford pandora. Even on a low budget. Just wait for great sales. Trade with friends and go Pandora Hunting with Debby and Scubadude. I totally agree with you. Buying preloved charms takes a lot of research and there is risk. I have been mistaken a few times and been deeply disappointed. There is always a risk as fakes have been so advanced in trying to be exact. Out of everything I have gotten I have been fooled by 3 and one last month! So it is a risk. Agreed. How nice is to get to know the story behind other collectors. I follow Debby on Instagram but this lovely interview helps me appreciate her photos with a much better understanding. Great job Dora and Debby! Thank you so much Patricia. I am truly grateful for the Instagram community and the friends I have made there. I hope we will be chatting soon! Thanks fo both of you for helping make this a special community. I love this space of yours Dora. Thank you for your dedication and consideration to Pandora’s lovers and your readers. Congrats to all the effort of the interviewee in finding her beloved peaces. A blessed day for you all.